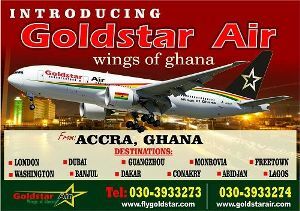 Home » Features » Is Akufo-Addo’s government really tackling the all-important human development? We cannot deny or ignore the fact that every serious, committed and forward-thinking political party has an explicit focus and direction with the view to forming a formidable government to improve upon the all-important human development. Apparently, some of us expect a vast improvements in human development, should President Akufo Addo’s government successfully implement the numerous programmes and policies, inter alia, the one district one factory, one village one dam in the northern part of Ghana, one million dollars per constituency, the Free SHS, tax reductions, among others. As the international community embarks on the implementation and monitoring of the 2030 Sustainable Development Goals agenda, the human development approach remains useful to articulating the objectives of development and improving people’s well-being by ensuring an equitable, sustainable and stable world. In the grand scheme of things, human development or the human development approach- is about expanding the richness of human life. It is an approach that is focused on people and their opportunities and choices. In theory, therefore, human development focuses on improving the lives of people rather than assuming that economic growth will lead automatically to greater wellbeing for all. In hindsight, human development is about giving people more freedom to live lives they value. This implies developing people’s abilities and giving them the opportunity to improve upon their lives. Take, for example, educating a large number of children would build their skills, but it will be of little, or no use at all, if they are denied access to jobs, or do not have the right employable skills for the local labour market. Basically, human development is about more choices. It is about providing people with opportunities. In practice, therefore, no one can guarantee human happiness and the choices individuals make. The human development approach, developed by the economist Mahbub Ul Haq, is encapsulated in the Nobel laureate Amartya Sen’s work on human capabilities, often framed in terms of whether people are able to “be” and “do” desirable things in life. Examples include-Beings: well fed, sheltered, healthy; Doings: work, education, voting, participating in community life (HDR 2015). It must be emphasised that since 1990, 2 billion people have been lifted out of low human development, extreme income poverty has been reduced by more than a billion. Every region of the world has seen Human Development Index (HDI) gains (HDR 2015). The process of development – human development – should at least create an environment for people, individually and collectively, to develop to their full potential and to have a reasonable chance of leading productive and creative lives that they value. In fact, policy options for enhancing human development through work have to be built around three broad clusters: (1) creating more work opportunities to expand work choices, (2) ensuring workers’ well-being to reinforce a positive link between work and human development and (3) targeted actions to address the challenges of specific groups and contexts. An agenda for action to build momentum for change is also needed pursuing a three-pillar approach—a New Social Contract, a Global Deal and the Decent Work Agenda (UNDP, 2015). “Work is intrinsic to human development. From a human development perspective, the notion of work is broader and deeper than that of jobs or employment alone” (HDR 2015). As a matter of fact and observation, when positive, work provides benefits beyond material wealth and fosters community, knowledge, strengthens dignity and inclusion. Nearly a billion workers in agriculture, 450 million entrepreneurs, 80 million workers in health and education, 53 million domestic workers, 970 million voluntary workers contribute to human progress globally (HDR 2015). In a way, over the years, work has contributed considerably to impressive progress in human development. However the progress has been uneven with significant human deprivations and large human potentials remain unused (UNDP 2015). 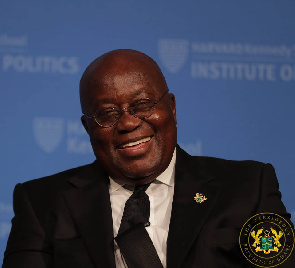 There is no gainsaying the fact that if Akufo Addo’s government were to undertake the irrigation projects in the northern part of Ghana, clearly, more happy faces will be emerged. Verily, if the NPP government were to give incentives to private organisations to erect factories all over the place and the jobless youth were to blissfully engage in gainful employment, the social mobility gap will most likely be improved. If Akufo Addo and his government continue to reduce the high utility bills to ease the burden on Ghanaians, trust me, there will be more money in the pockets of Ghanaians. I bet, if Akufo Addo’s government were to give out one million dollars continuously to each constituency for selected developmental projects, there will be improvement in the human development. If NPP government were to pay more attention to the Zongo developmental projects, I could envisage improvement in the lives of the Zongo people. What is more, the successful implementation of the Free SHS will definitely close the ever worrying social mobility gap. In sum, it is, indeed, prudent and somewhat forward-thinking for any serious and committed leader to seek to enhance human development through rational distribution of national resources in the form of Free SHS and other social interventions. Amartya Sen (1999), “The ends and means of development” Chapter 2 from “Development as Freedom”, Oxford University Press. Barsh, R. L. (1991), “The Right to Development as a Human Right: Results of the Global Consultation”. France Stewart (2013), “Capabilities and Human Development: Beyond the individual – the critical role of social institutions and social competencies”, Human Development Report Office Occasional Paper, 2013/03. Mahbub ul Haq (1995), “The Advent of the Human Development Report” Chapter 3 from “Reflections on Human Development”, Oxford University Press. Selim Jahan (2002), “Evolution of the Human Development Index,” Section 2 from “Handbook of Human Development”, Oxford University Press.